Irma and her staff help facilitate new client moves to help ensure a seamless transition and a more focused employee. Working in concert with client HR Departments and administrative staffs, she assesses needs on an individualized basis to create a customized recruitment, hiring and on-boarding process for each employee. 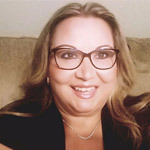 Relying on years of experience in relocation services, Irma also assists clients with all logistics, reservations, planning, identifying movers and whatever additional facets are necessary to take the burden off the client’s shoulders in addition to supervising her staff in providing any additional support required. The proud mother of two and grandmother to one, Irma loves spending time with family and friends, and, as befits our VP of Travel, enjoys traveling whenever she gets the chance.